Holly’s bring you back some of the joy and colours from the 70s and lift your mood. 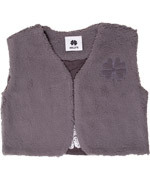 Their signature clover comes in all colors and sizes, and is used on super cotton qualities, for underwear and baby clothes. Adorable!